Loblaw Companies Ltd. says it anticipates strong growth for the rest of the year, even as it braces for increased competition from U.S. discount retailers Walmart and Target. "We have a lot of competition coming in," chief financial officer Sarah Davis said during a conference call Wednesday. "You can't underestimate the power of the competition and the number of stores that Target and Walmart will be opening in the remainder of the year." Target plans to launch approximately 70 new stores in the country before the end of the year, while Walmart expects to have completed 37 new supercentre projects by January 2014. Both of the U.S. chains sell food products, eating into the market share of grocers like Loblaw, Metro Inc. (TSX:MRU) and Empire Company's (TSX:EMP) Sobeys stores. But despite the heightened pressure from the American rivals, Loblaw (TSX:L) boosted its outlook on Wednesday. The supermarket chain said it expects mid-single digit growth in operating income this year compared with earlier expectations for modest, or low-single digit growth. Managing expenses and improving its product mix helped earnings grow during the second quarter, the company said. Loblaw earned $178 million or 63 cents per share for the quarter ended June 15, up from $156 million or 55 cents per share in the same period a year ago. The profit was about five cents per share better than the average analyst estimate compiled by Thomson Reuters. "We are very, very confident on our strategies, and we are competing in this environment and delivering," said Loblaw president Vicente Trius. Revenue for the quarter was $7.5 billion, an increase of two per cent over the second quarter of 2012. Loblaw says same-store sales growth was 1.1 per cent overall and one per cent excluding gas bars. Sales growth in food was modest and drugstore sales were flat, but gas bar and clothing sales were strong. The grocer says it's also preparing for the integration of pharmacy chain Shoppers Drug Mart Corp. (TSX:SC) over the next few months. "As transformative as this transaction is, we will not be successful without execution," said Trius. "That is why we're building a comprehensive integration plan, which will be led by a member of our senior executive team." The company expects to realize $100 million in net synergies in the first year following the deal, largely due to lower cost of goods sold, as well by saving on marketing activities such as the printing and distribution of flyers. Loblaw expects to see additional synergies in its supply chain in the second year, and in information technology services during the third year following the deal. Loblaw executive chairman Galen Weston said acquiring Shoppers (TSX:SC) for approximately $12.4 billion will provide a "strategic complement" to Loblaw's current assets and create shareholder value. "Together, the two businesses will leverage each others' strengths to capitalize on the two most important demographic trends driving the Canadian consumer in the foreseeable future: health and urbanization," Weston said. The acquisition will give Loblaw a foothold in urban centres, where many small-format Shoppers stores are located. 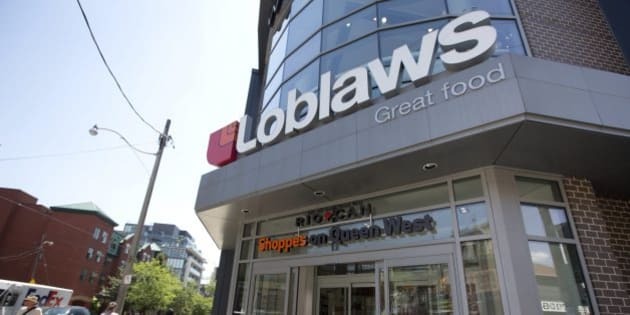 Loblaw expects the deal, which was announced before the end of the quarter, to be completed within six to seven months, contingent on various approvals. Earlier this month, Loblaw's debuted its real estate holdings in an investment trust on the Toronto Stock Exchange. The grocer values the properties in Choice Properties REIT at $7 billion. Loblaw shares closed up $1.52 or 3.17 per cent at $49.46 Wednesday on the Toronto Stock Exchange.